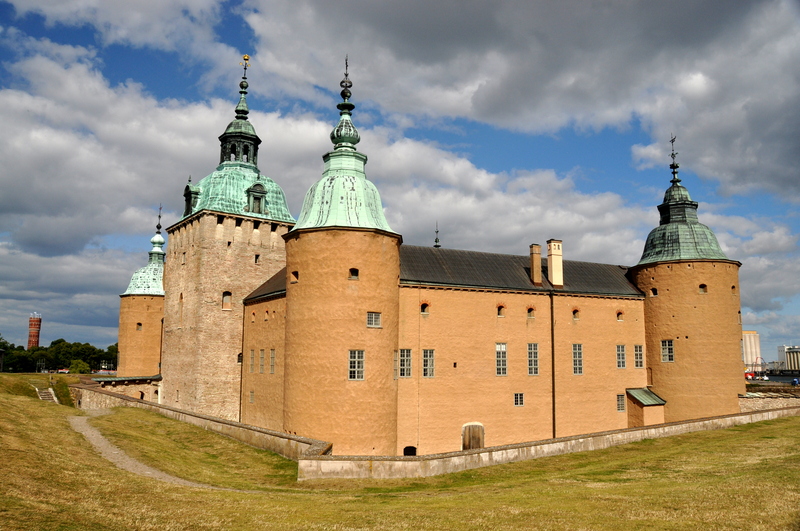 Kalmar Slott (Castle) dates back 800 years and sits on Baltic Sea land that was once fought over between Sweden and Denmark. 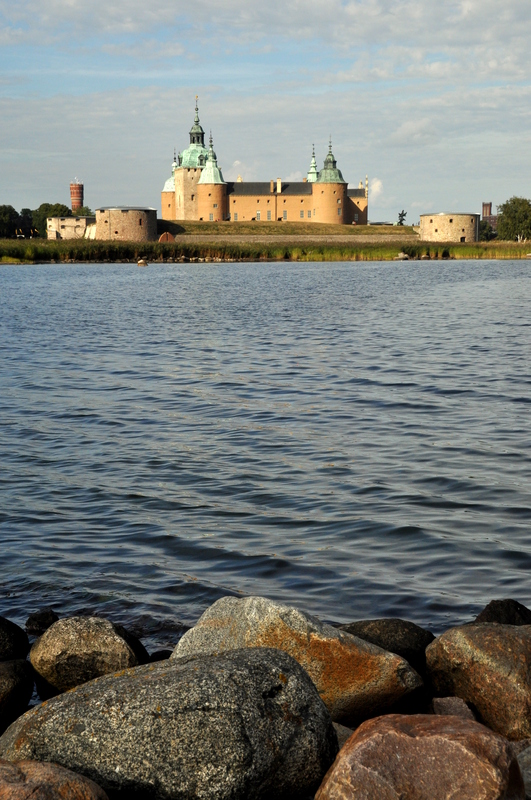 It was a beautiful August day when I visited the castle, and I was sure to stroll further along the shoreline to photograph the castle from afar. 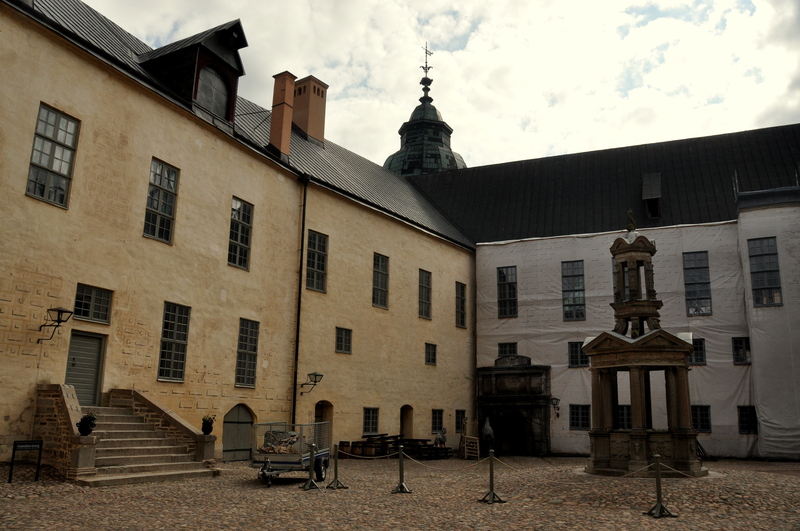 …finally entering the central courtyard, above. 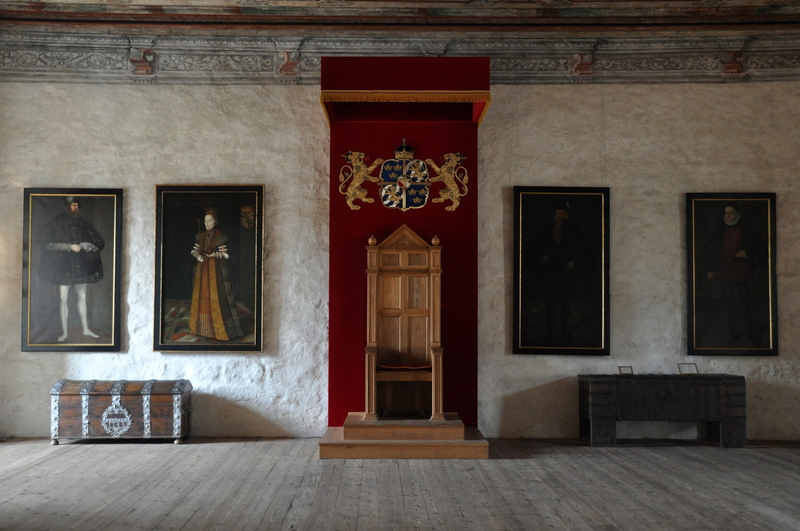 The castle’s interior today houses a variety of exhibits, such as a small collection of royal garments, including King Erik XIV’s coronation robe. 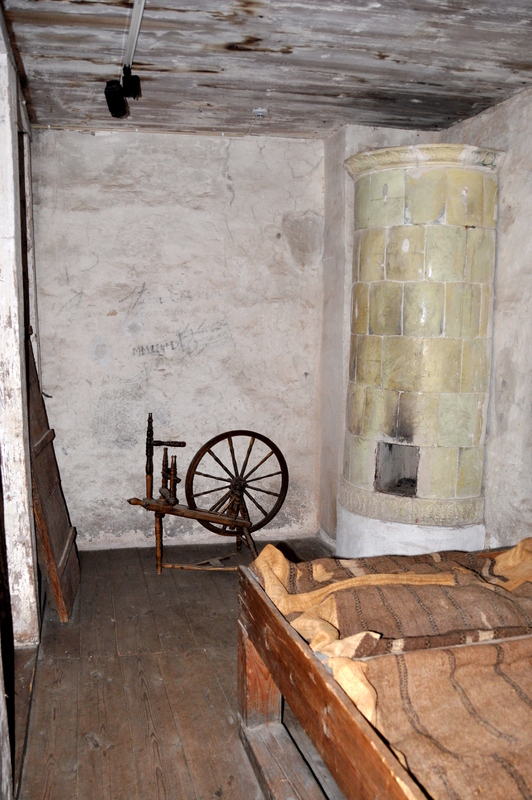 I remember that one hall featured a photo gallery about Swedish tennis star Björn Borg, while the same corridor one floor below housed what, during the years following the 1658 Treaty of Roskilde, was a women’s prison, one of its damp cells recreated for the photo above. Quite a stark contrast! 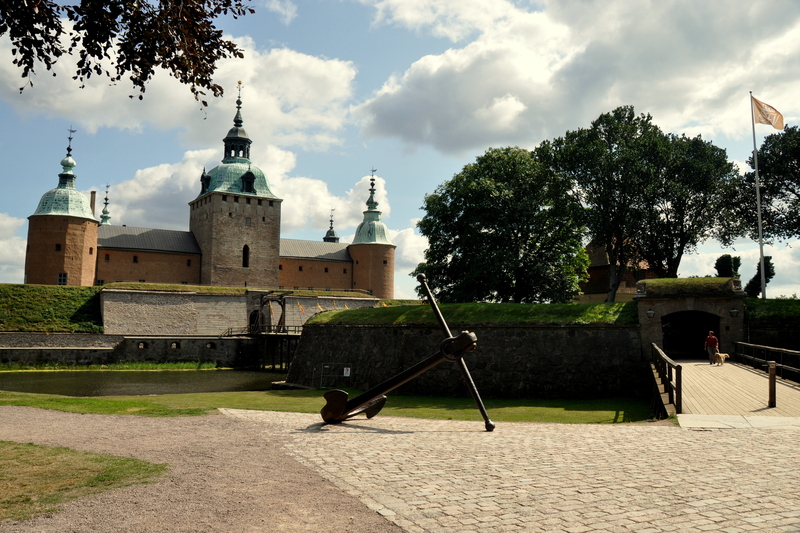 The seaward side of the castle is partially protected by a bluff that is dotted with cannons. I scampered up here to take in the view in all directions. The skinny red structure in the distance is Kalmar’s 120-year-old water tower, which, improbable though it may sound, has since been turned into an apartment complex. 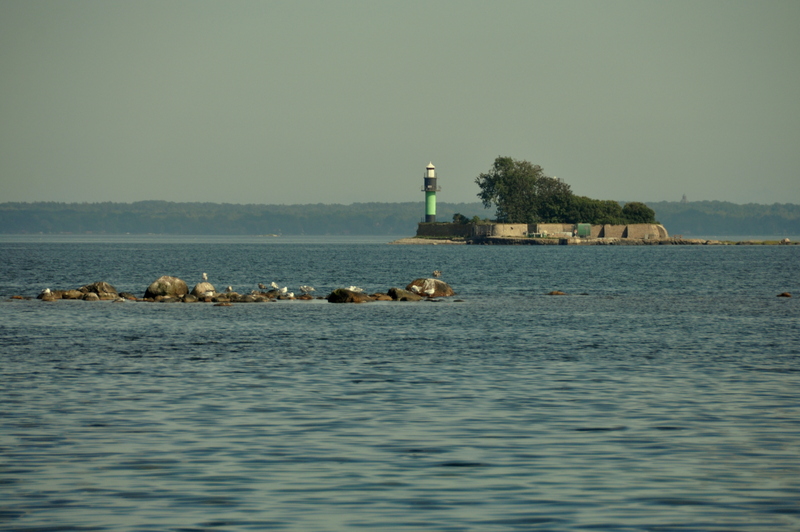 As seen from the bluff, the fortified lighthouse islet of Grimskars Redoubt is an odd landmark and a nesting ground for gulls. You might think that the landmass across Kalmar Strait is Finland, but it is actually Öland, a peninsular Swedish island province that is connected to the mainland by bridge. 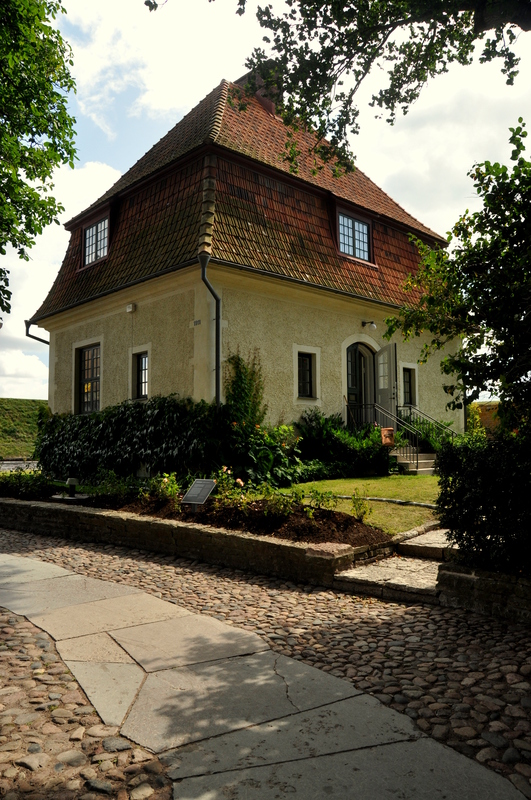 Öland itself has several worthwhile diversions, including two more castles. 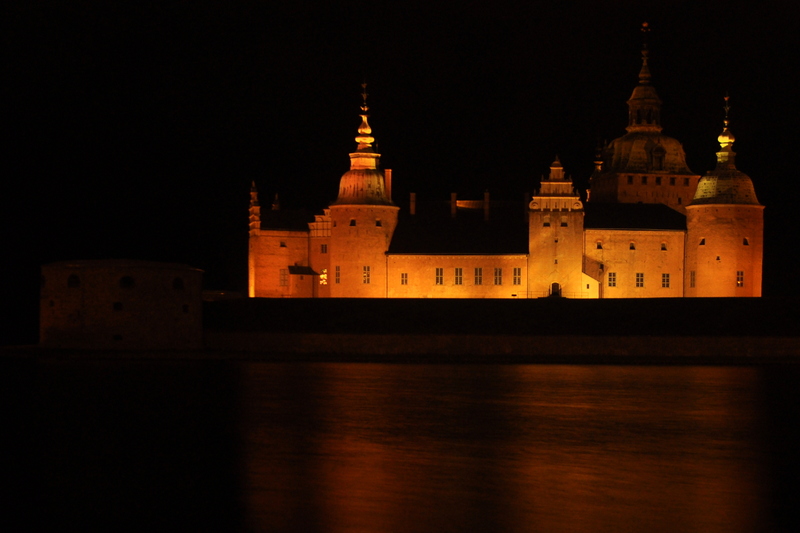 I am rather pleased with the quality nighttime picture of Kalmar Castle, taken in Manual mode and using a tripod. 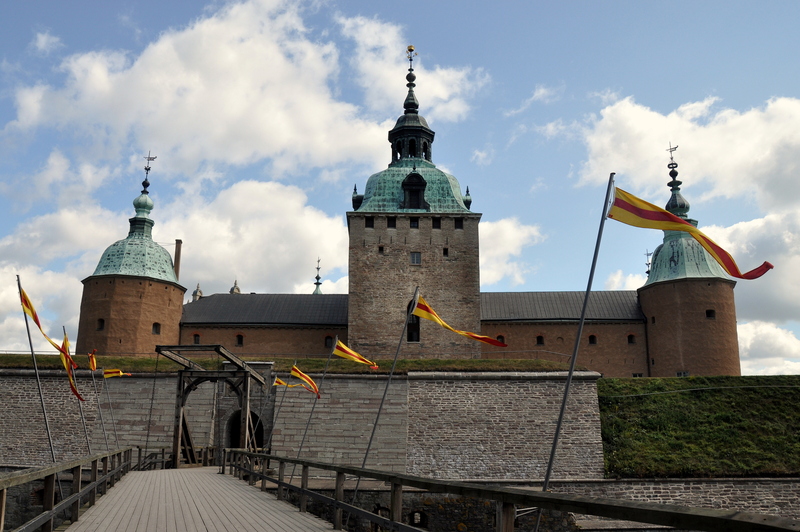 I do wish, though, that the round granary tower on the left was floodlit like the rest of the castle. 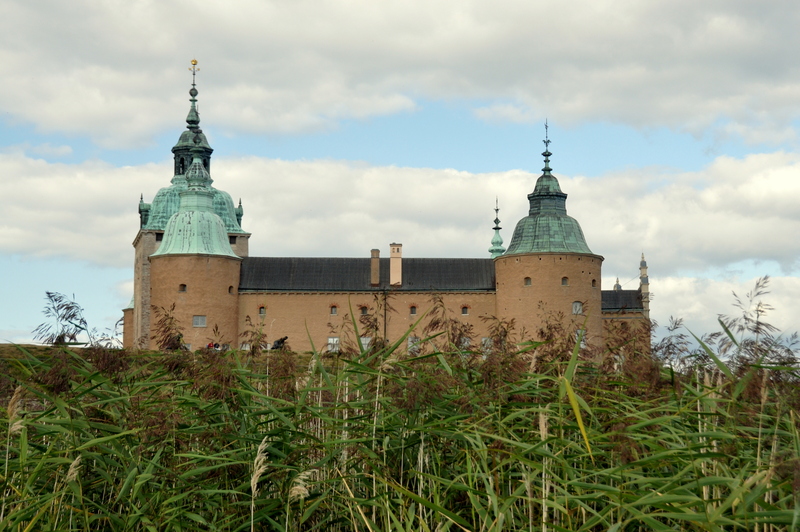 If you only have a chance to visit one city in Sweden, visit Stockholm. 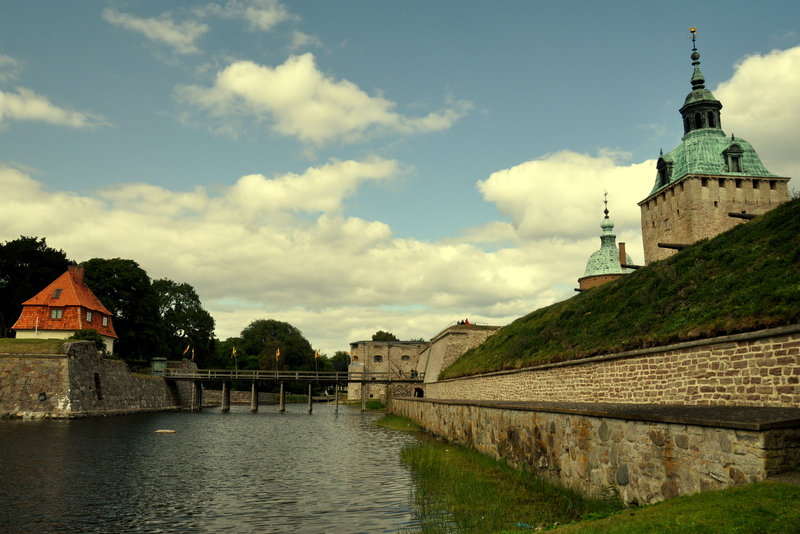 But if you have a chance to visit two places, visit Kalmar as well, and be sure to check out its spectacular waterfront castle.